Oberst und Fliegerass. 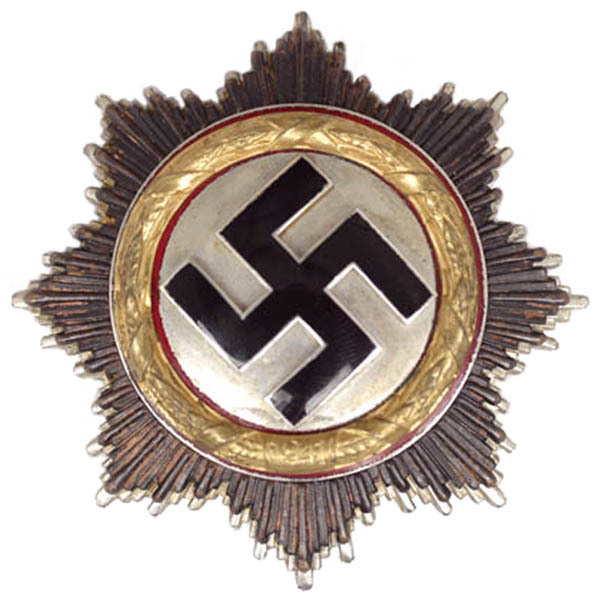 Staffelführer 9./J.G. 52. 04-01-1988, Parkinson, age 75, Engen. Engen, Stadtfriedhof. In the corner to the right. Graf, Hermann, born 24-10-1912 in Engen, Baden, the son of Wilhelm Graf, a small farmer, and his wife Maria, born Sailer. He was the third of three children , with two older brothers, Wilhelm Wilhelm and Josef Wilhelm. Wilhelm Graf fought in World War I as an artillery soldier and was awarded the Iron Cross and did not return home until Hermann was six years old. Hermann’s main reference point in his life was therefore his mother forming a very close relationship which prevailed the remainder of her life. The inflation in the Weimar Republic wiped out all the family savings in 1923. From a very early age Hermann learned to work very hard to make a living as a young boy was fascinated by football as a goalkeeper of FC Höhen, a broken thumb ended all of Graf’s early hopes for a career in the national football team of trainer Sepp Herberger. A few days later JG 52 was transferred to Romania, to help train Romanian pilots. In May 1941 III./JG 52 was transferred to Greece to support Operation Merkur, the invasion of Crete. By early 1942 he had 45 victories, for which he was awarded the Ritterkreuz on 24-01-1942, by Hermann Goering. The rise of General Ion Victor Antonescu in Romania in 1940 led to a reorganization of his country’s armed forces. In this, he was supported by a military mission from Germany, the Luftwaffenmission Rumänien (Luftwaffe Mission Romania) under the command of Generalleutnant der Flieger, Wilhelm Speidel. Handrick’s III./JG 52 was transferred to Bucharest in mid-October and temporarily renamed I./Jagdgeschwader 28 (I./JG 28) until 4 January 1941. Its primary task was to train Romanian Air Force personnel. Here, the trio of Graf, Leutnant Heinrich Füllgrabe and Oberleutnant Alfred Grislawski was joined by Oberleutnant Ernst Süß, and later by Leutnant Leopold Steinbatz and Leutnant Edmund “Paule” Roßmann . Generalleutnant Wilhelm Speidel died 03-06-1970, age 74, in Nürtingen The airmen of 9./JG 28 spent a couple of relaxing months in Bucharest, outside the close scrutiny of Berlin. Graf even managed to play football when a Luftwaffe team played against Cyclope Bucharesti at the Bucharest Sports Arena before 30,000 spectators. During its time in Romania, the unit was witness to a major earthquake in November and an abortive civil war in January Leutnant Heinrich Füllgrabe was killed on 30-01-1945, age 28, by Soviet anti-aircraft fire near Brieg in Silesia. Oberleutnant Alfred Grislawski survived the war and died 19-09-2003, aged 83, Herne. Oberleutnant Ernst Süß, was killed in battle, age 31 on 20-12-1943, in Wardenburg, Oldenburg. Leutnant Leopold Steinbatz Bf 109F4 “Yellow 2” was hit by Soviet AA fire and plummeted into the forests near Volzhansk, killing Steinbatz, age 23, although his body was never found. Leutnant Edmund “Paule” Roßmann also survived the war and died 04-04-2005, age 23, in Krefeld. On 23 March Graf was appointed Staffelkapitän of 9./JG 52. In early 1943 Graf, now a major, was sent to France to command Ergänzungs-Jagdgruppe Ost. He managed to bring his tally to 212 before he surrendered to the Americans on 08-05-1945. Graf had disobeyed an order from General Hans Seidemann, Seidemann died age 66, on 21-12-1967. Seidemann had ordered him and Erich Hartmann to fly to the British sector, to avoid capture by the Russians. Along with most of the JG 52 personnel, Graf was handed over to the Russians shortly after his surrender. He was imprisoned until 29-12-1949. After Hermann Graf had returned from Soviet captivity in December 1949 his marriage with Jola Jobst collapsed and they were divorced. Initially Graf had a hard time obtaining work but his relationship in the football community helped him. Sepp Herberger introduced Graf to Roland Endler, an electronics manufacturer. Endler employed Graf as a salesman in his company, and Graf would eventually advance to branch leader in Baden Wurtemberg and Chief of Sales Graf was diagnosed with Parkinson’s disease, Parkinson’s disease affected many of those who had flown high-altitude missions during the war. Graf eventually re-married twice. His third marriage from May 1959 with Helga Graf resulted in the birth of his son, Hermann-Ulrich born in 1959, and his daughter Birgit born in 1961. Hermann Graf died, age 75, in his hometown Engen on 04-11-1988 and is buried on the village cemetery in Engen, in the right corner. Memorials of Graf are displayed in the museum of Speyer, Hermann Graf’s leather jacket and the Me 109 tail rudder from his famous 9./JG 52 Bf 109 G-2 “Karaya 1”, Yellow 1 .